Designer Watches – Worth it? If you’re thinking about shopping for a designer watch, you might be taken aback at the cost. Thanks to improvements in manufacturing and the access to inexpensive imports from China, one can now buy a working wristwatch for as little as $5. It will run for a while and then it will probably quit for good, but for another $5, you can replace it with another one and repeat the process. Some of these timepieces are reasonably attractive, and at that price point, the do tell you the time, which is all many people expect from a wristwatch. With that being the case, why would you, or anyone, for that matter, pay hundreds, thousands or even more for a designer watch? For many people, the answer is, “I wouldn’t.” But if that describes you, then you’re probably not here reading this. In fact, millions of people buy luxury watches every year and they do so despite the fact that designer watches can reach the stratosphere. But that again raises the question – Are designer watches worth the money? It depends, but in many cases, the answer is yes. There are many ways to justify spending the money, and they’re going to vary from customer to customer, because no two people are alike and no two people share the same priorities. 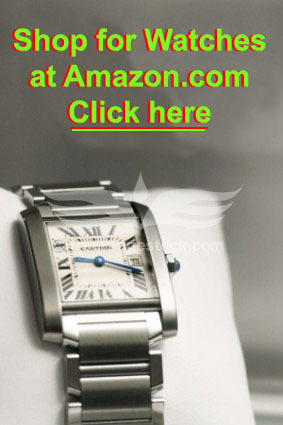 Lots of people simply want an attractive timepiece that will offer a nice accent to their wardrobe. There are literally thousands of models that will do this, but buying a designer watch ensures that you’ll be buying a timepiece from a company that values design aesthetics as well as the ability of their product to integrate with a wardrobe. You want to look good, and these companies know that, and they’re going to make products that are going to enhance, rather than conflict with, your wardrobe. Quality is also a concern for many buyers and the makers of watches in price ranges that can start at $100 and run to $100,000 or more know that they aren’t going to be in business very long if they make products that aren’t rugged and reliable in addition to being attractive. These days, it’s almost impossible to buy a designer watch that doesn’t offer some degree of water resistance, and some models are good to 200 meters or more. These timepieces are built to withstand the elements. Many of them feature modern technology in their case design, using high-tech ceramics, titanium, and even carbon fiber in their construction. These watches offer scratch resistance and incredible strength while reducing weight. Many offer newer quartz movements with long battery life, and those luxury watches that feature mechanical movements are going to have jewels installed at friction points to minimize long-term wear in the moving parts. In short, buy purchasing a designer watch, you’re also paying for a product that is likely to last a long time, due to much better-than-average build quality. Innovation is another important consideration when buying designer watches. When the first watch with a quartz crystal movement came to market in 1969, it cost $1250, a price that equates to nearly $8000 today. While you can now purchase a watch with a quartz movement for a relatively small sum, it took many years for that technology to become affordable. That’s true of any new technology; it takes a while for it to become affordable and trickle down to mass-produced products. If you want cutting-edge innovation and features today, you’ll have to buy a luxury watch, as the companies that make these watches are the innovators that create these new technologies. It isn’t cheap to add features such as barometers, altimeters, moon phases, atomic clock synchronization, or power-saving features. Developing high-tech ceramic and carbon fiber cases is expensive, too, and these things will always appear first on high end products. Then, of course, comes the jewelry angle. While many designer watches use stainless steel, a few companies incorporate precious metals, such as gold, silver and platinum in their cases. 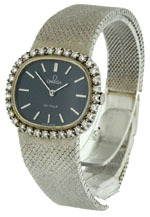 In addition, many of these high-end watches include diamonds on their bands or around their bezel. While these timepieces are still fully functional watches, they’re also beautiful jewelry, with monetary value aside from their use as timepieces. Many of these models are quite elaborate and ornate, and some of them are breathtakingly expensive, costing upwards of $100,000. As watches in this price range are by definition limited editions, their scarcity adds to their appeal. Then there’s the collectibility angle. These days, nearly everything is collectible to some extent, and designer watches are no exception. Many makers of luxury timepieces produce models as limited editions, and these often become unavailable rather quickly. In addition, most makers add and remove models from their product line on a regular basis, so even regular production models sometimes become unavailable, even after years of being available for purchase on a regular basis. These out of production models, limited editions and not, often attract the attention of collectors, who often are willing to pay many times the original purchase price to acquire a working example of one of these older models in good condition. 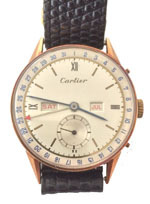 Collectors are particularly fond of older models from companies that have been in business for many years; older examples of watches from Movado, Rolex and Cartier often bring extraordinary amounts of money on the collector market. The demand for some designer watches as collectibles is strong enough that some collectors purchase new timepieces as investments, with the intention of selling them at a later date at a profit. While all of the above factors are significant, which ones are important to any individual buyer is a matter of personal taste. Some like the fashion angle, others like precious gems and metals and others value the historical and collectible angle. Some watches manage to incorporate all of these features, making them quite desirable to anyone with a taste for the finer things in life. Obviously, not all designer watches fit this criteria, but many of them do, and for those that do, their purchase, and the accompanying price, is entirely justified.